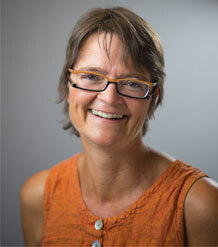 Brit Grosskopf joined the University of Exeter Business School as a Professor of Economics in September 2013, she is the current head of the Economics department. Originally from Germany, Brit did her undergraduate degree in economics at the Humboldt University in Berlin. She completed her PhD dissertation Social Preferences and Learning in Experimental Games under the supervision of Rosemarie Nagel at the Universitat Pompeu Fabra, Barcelona, in 2000. She then spent three years at Harvard Business School, where she was a post-doc with Al Roth (Nobel Laureate, Economics 2012). Brit then took a tenure-track job at Texas A&M University where she was granted tenure in 2009. She moved to the University of Birmingham as a Professor in Experimental Economics in 2011, where she founded the Birmingham Experimental Economics Laboratory (BEEL) of which she was the Director until she joined Exeter. Brit’s research interests lie at the intersection of economics and psychology. She uses experimental methods to study individual and group behaviour with a particular interest in social preferences, reasoning, learning, reputation, identity and happiness. Brit has obtained research support from the National Science Foundation, the British Academy and the Russell Sage Foundation. Grosskopf B, Sarin R, Rentschler L (2018). An experiment on first-price common-value auctions with asymmetric information structures: the blessed winner. Games and Economic Behavior, 109, 40-64. Full text. DOI. Drouvelis M, Grosskopf B (2016). The effects of induced emotions on pro-social behaviour. Journal of Public Economics, 134, 1-8. © 2016 Elsevier B.V. Emotions are commonly experienced and expressed in human societies; however, their consequences on economic behaviour have received only limited attention. This paper investigates the effects of induced positive and negative emotions on cooperation and sanctioning behaviour in a one-shot voluntary contributions mechanism game, where personal and social interests are at odds. We concentrate on two specific emotions: anger and happiness. Our findings provide clear evidence that measures of social preferences are sensitive to subjects' current emotional states. Specifically, angry subjects contribute, on average, less than happy subjects and overall welfare as measured by average net earnings is lower when subjects are in an angry mood. We also find that how punishment is used is affected by moods: angry subjects punish harsher than happy subjects, ceteris paribus. These findings suggest that anger, when induced, can have a negative impact on economic behaviour. Grosskopf B, Sarin R, Watson E (2015). An experiment on case-based decision making. Theory and Decision, 79(4), 639-666. © 2015, Springer Science+Business Media New York. We experimentally investigate the disposition of decision makers to use case-based reasoning as suggested by Hume (An enquiry concerning human understanding, 1748) and formalized by case-based decision theory (Gilboa and Schmeidler in Q J Econ 110:605–639, 1995). Our subjects face a monopoly decision problem about which they have very limited information. Information is presented in a manner which makes similarity judgements according to the feature matching model of Tversky (Psychol Rev 84:327–352, 1977) plausible. We provide subjects a “history” of cases. In the $$2\times 2$$2×2 between-subject design, we vary whether information about the current market is given and whether immediate feedback about obtained profits is provided. The results provide support for the predictions of case-based decision theory, particularly when no immediate feedback is provided. Grosskopf B (2014). New Perspectives on Emotions in Finance: the Sociology of Confidence, Fear and Betrayal. Journal of Economic Literature, 52(3), 862-864. Bereby-Meyer Y, Moran S, Grosskopf B, Chugh D (2013). Choosing Between Lotteries: Remarkable Coordination Without Communication. Journal of Behavioral Decision Making, 26(4), 338-347. DOI. Bereby-Meyer Y, Moran S, Grosskopf B, Chugh D (2013). Choosing between lotteries: Remarkable coordination without communication. Journal of Behavioral Decision Making, 26(4), 338-347. The current research examines tacit coordination behavior in a lottery selection task. Two hundred participants in each of three experiments and 100 in a fourth choose to participate in one of two lotteries, where one lottery has a larger prize than the other. Independent of variations in the complexity of the mechanism of prize allocation, the prize amounts, and whether the lottery is the participant's first or second choice, we typically find that the percentage of participants who choose the high versus low-prize lotteries does not significantly differ from the equilibrium predictions. This coordination is achieved without communication or experience. We additionally find that participants with an analytical thinking style and a risk-averse tendency are more likely to choose the low-prize lottery over the high-prize lottery. This tendency seems to be stable across choices. The pattern of our results suggests that to achieve tacit coordination, having a subset of individuals who attend to the choices of others is sufficient. Copyright © 2012. Grosskopf B, Sarin R (2010). Is reputation good or bad? an experiment. American Economic Review, 100(5), 2187-2204. We investigate the impact of reputation in a laboratory experiment. We do so by varying whether the past choices of a long-run player are observable by the short-run players. Our framework allows for reputation to have either a beneficial or a harmful effect on the long-run player. We find that reputation is seldom harmful and its beneficial effects are not as strong as theory suggests. When reputational concerns are at odds with other-regarding preferences, we find the latter overwhelm the former. Grosskopf B, Roth AE (2009). If you are offered the Right of First Refusal, should you accept? an investigation of contract design. Games and Economic Behavior, 65(1), 176-204. Rights of first refusal are contract clauses intended to provide the holder of a license or lease with some protection when the contract ends. The simplest version gives the right holder the ability to act after potential competitors. However, another common implementation requires the right holder to accept or reject some offers before potential competitors are given the same offer, and, if the right holder rejects the initial offer, allows the right to be exercised affirmatively only if competitors are subsequently offered a better deal (e.g. a lower price). We explore, theoretically and experimentally, the impact this latter form of right of first refusal can have on the outcome of negotiation. Counterintuitively, this "right" of first refusal can be disadvantageous to its holder. This suggests that applied contract design may benefit from the same kind of attention to detail that has begun to be given to practical market design. © 2008 Elsevier Inc. All rights reserved. Coats JC, Gronberg TJ, Grosskopf B (2009). Simultaneous versus sequential public good provision and the role of refunds - an experimental study. Journal of Public Economics, 93(1-2), 326-335. We experimentally study contributing behavior to a threshold public good under simultaneous and sequential voluntary contribution mechanisms and investigate how refund policies interact with the mechanism. We find that, for a given refund rule, efficiency is greater under a sequential contribution mechanism than under a simultaneous contribution mechanism. Furthermore, for a given order of contributions, we find that full refund unambiguously achieves higher efficiency in the simultaneous mechanism while this is not the case in the sequential mechanism. © 2008 Elsevier B.V. All rights reserved. Bereby-Meyer Y, Grosskopf B (2008). Overcoming the winner's curse: an adaptive learning perspective. Journal of Behavioral Decision Making, 21(1), 15-27. The winner's curse phenomenon refers to the fact that the winner in a common value auction, in order to actually win the auction, is likely to have overestimated the item's value and consequently is likely to gain less than expected and may even lose (i.e. it is said to be "cursed"). Past research, using the "Acquiring a company" task has shown that people do not overcome this bias even after they receive extensive feedback. We suggest that the persistence of the winner's curse is due to a combination of two factors: variability in the environment that leads to ambiguous feedback (i.e. choices and outcomes are only partially correlated) and the tendency of decision makers to learn adaptively. We show in an experiment that by reducing the variance in the feedback, performance can be significantly improved. Copyright © 2007 John Wiley & Sons, Ltd.
Grosskopf B, Nagel R (2008). The two-person beauty contest. Games and Economic Behavior, 62(1), 93-99. We introduce a two-person beauty contest game with a unique Nash equilibrium that is identical to the game with many players. However, iterative reasoning is unnecessary in the two-person game as choosing zero is a weakly dominant strategy. Despite this "easier" solution concept, we find that a large majority of players do not choose zero. This is the case even with a sophisticated subject pool. © 2007 Elsevier Inc. All rights reserved. Grosskopf B, Bereby-Meyer Y, Bazerman M (2007). On the robustness of the winner's curse phenomenon. Theory and Decision, 63(4), 389-418. We set out to find ways to help decision makers overcome the "winner's curse," a phenomenon commonly observed in asymmetric information bargaining situations, and instead found strong support for its robustness. In a series of manipulations of the "Acquiring a Company Task," we tried to enhance decision makers' cognitive understanding of the task. We did so by presenting them with different parameters of the task, having them compare and contrast these different parameters, giving them full feedback on their history of choices and resulting outcomes, and allowing them to interact with a human opponent instead of a computer program. Much to our surprise, none of these manipulations led to a better understanding of the task. Our results demonstrate and emphasize the robustness of the winner's curse phenomenon. © 2007 Springer Science+Business Media, LLC. Grosskopf B, Erev I, Yechiam E (2006). Foregone with the wind: Indirect payoff information and its implications for choice. International Journal of Game Theory, 34(2), 285-302. Examination of the effect of information concerning foregone payoffs on choice behavior reveals a complex pattern. Depending on the environment, this information can facilitate or impair maximization. Our study of nine experimental tasks suggests that the complex pattern can be summarized with the assumption that initially people tend to be highly sensitive, and sometimes too sensitive, to recent foregone payoffs. However, over time, people can learn to adjust their sensitivity depending on the environment they are facing. The implications of this observation to models of human adaptation and to problems of mechanism design are discussed. Bereby-Meyer Y, Grosskopf B (2004). How manipulable are fairness perceptions? the effect of additional alternatives. Research on Economic Inequality, 11, 43-53. In customer or labor markets raising prices or cutting wages is perceived as unfair if it results from the exploitation of shifts in demands. In a series of manipulations we show that adding an alternative to the original choice set alters the perception of fairness of the final outcome. Adding a worse alternative lowers the perception of unfairness, whereas adding a better alternative raises the perception of unfairness. These findings supplemented with existing experimental evidence cast doubt on purely outcome-based theories of fairness and suggest that fairness perceptions are highly manipulable. © 2004 Elsevier Ltd. All rights reserved. Idson LC, Chugh D, Bereby-Meyer Y, Moran S, Grosskopf B, Bazerman M (2004). Overcoming focusing failures in competitive environments. Journal of Behavioral Decision Making, 17(3), 159-172. This paper attacks one of the chief limitations of the field of behavioral decision research - the past inability to use this literature to improve decision making. Building on the work of Thompson, Gentner, Loewenstein and colleagues (Loewenstein, Thompson, & Gentner, 1999; Thompson, Gentner, & Loewenstein, 2000; Gentner & Markman, 1997), the current paper finds that it is possible to reduce bias in one of the most robust problems in the decision literature, the Acquiring a Company Problem (Samuelson & Bazerman, 1985). Past research has shown that individuals make sub-optimal offers as a result of the failure to think about the decisions of others and to incorporate a clear understanding of the rules of the game. In the current study, we find that by allowing study participants to see and understand differences in seemingly unrelated decision problems - versions of the Monty Hall Game (Nalebuff, 1987; Friedman, 1998) and Multiparty Ultimatum Game (Messick, Moore, & Bazerman, 1997; Tor & Bazerman, 2003) - study participants can learn to focus more accurately on the decisions of other parties and the rules of the game, the keys to solving the Acquiring a Company Problem. This research offers a new piece of evidence that comparative and analogical processes may be a successful direction for improving decision making. Copyright © 2004 John Wiley & Sons, Ltd.
Asker J, Grosskopf B, McKinney CN, Niederle M, Roth AE, Weizsäcker G (2004). Teaching auction strategy using experiments administered via the internet. Journal of Economic Education, 35(4), 330-342. The authors present an experimental design used to teach concepts in the economics of auctions and implications for e-Business procurement. The experiment is easily administered and can be adapted to many different treatments. The chief innovation is that it does not require the use of a lab or class time. Instead, the design can be implemented on any of the many Web-based auction sites (we use Yahoo!). This design has been used to demonstrate how information is transmitted by bids in an auction and how this can make it difficult for well-informed bidders to profit from their information, leading to disincentives for relatively informed bidders to enter an auction. Consequently, an auction may sometimes be an ineffective mechanism for procurement, compared with other options. The auction experiment shows how information can dramatically affect market outcomes and bidder incentives. Charness G, Grosskopf B (2004). What makes cheap talk effective? Experimental evidence. Economics Letters, 83(3), 383-389. In some environments, a player only learns the choice of another player if he or she undertakes a risky choice. While costless preplay communication (cheap talk) has been found to be effective in experimental coordination games, participants have typically learned both own payoffs and the other player's action. Are both of these components necessary for cheap talk to be effective? in our 2×2 stag hunt game, the safe choice always yields the same payoff, so that information about payoffs does not always identify the other player's action. We vary whether information is provided about the other person's play, and whether costless one-way messages can be sent before action choices are made. We find that information provision about the other person's play increases coordination when there are messages, but otherwise has no effect. © 2004 Published by Elsevier B.V.
Grosskopf B (2003). Reinforcement and directional learning in the ultimatum game with responder competition. Experimental Economics, 6(2), 141-158. Demands in the Ultimatum Game in its traditional form with one proposer and one responder are compared with demands in an Ultimatum Game with responder competition. In this modified form one proposer faces three responders who can accept or reject the split of the pie. Initial demands in both ultimatum games are quite similar, however in the course of the experiment, demands in the ultimatum game with responder competition are significantly higher than in the traditional case with repeated random matching. Individual round-to-round changes of choices that are consistent with directional learning are the driving forces behind the differences between the two learning curves and cannot be tracked by an adjustment process in response to accumulated reinforcements. The importance of combining reinforcement and directional learning is addressed. Moreover, learning transfer between the two ultimatum games is analyzed. Charness G, Grosskopf B (2001). Relative payoffs and happiness: an experimental study. Journal of Economic Behavior and Organization, 45(3), 301-328. Some current utility models presume that people are concerned with their relative standing in a reference group. Yet how widespread is this influence? Are some types of people more susceptible to it than others are? Using simple binary decisions and self-reported happiness, we investigate both the prevalence of "difference aversion" and whether happiness levels influence the taste for social comparisons. Our decision tasks distinguish between a person's desire to achieve the social optimum, equality, or advantageous relative standing. Most people appear to disregard relative payoffs, instead typically making choices resulting in higher social payoffs. While we do not find a strong general correlation between happiness and concern for relative payoffs, we do observe that a willingness to lower another person's payoff below one's own (competitive preferences) may be correlated with unhappiness. © 2001 Elsevier Science B.V.